After evaluating a great deal of data, a statistician finds that as ice cream sales increase, the rate of drowning deaths increases sharply. Based on this strong correlation, the scientist concludes ice cream consumption causes drowning. Even to the untrained eye, it is fairly obvious the analyst failed to take into account weather; during warmer summer months, people swim more and crave cool refreshments like ice cream. Temperature – not ice cream consumption – is the underlying variable that drives both drowning and ice cream consumption. Seem obvious? The same mistake is commonplace among professional investors who still practice asset allocation; they build portfolios based in large part on the correlation relationships between asset classes, even though there are typically strong underlying economic variables causing those correlations to exist in the first place and, more importantly, change over time. (The underlying credit cycle that lurked beneath asset class correlations in 2007-08 and eventually devastated traditional portfolios, is just one example of many mistakes like this in the past few decades). 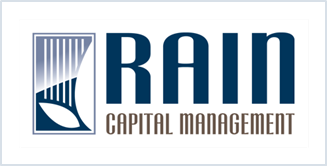 At Rain, we refer to those lurking variables as risk factors and they are the core points around which we build portfolio diversification. Rather than focus on how different strategies correlate with each other based on their asset-class classification or historical performance patterns (we’ve all read the disclaimer “past performance is not an indication of future results. . .”), our analytics are more concerned with how strategies may be economically integrated with each other. Then we stress test those relationships.